A lack of mods brought on a name change for the largest annual vintage motorcycle and scooter rally in the U.S. 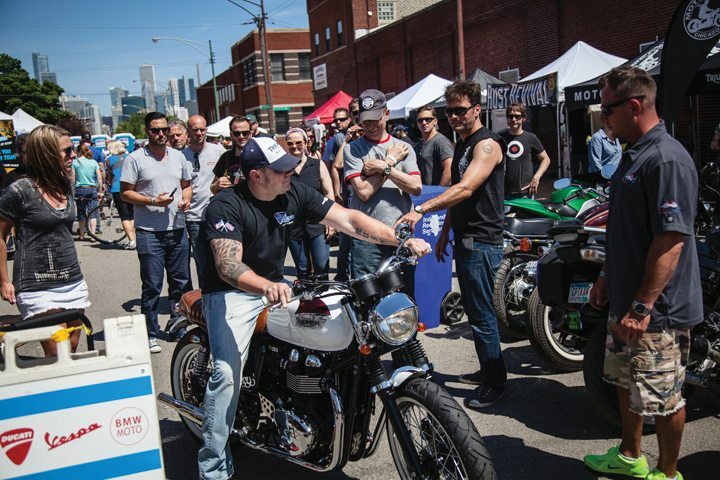 Even so, the newly named Motoblot proved to be a success in Year 1 in Chicago, thanks in large part to a bike building competition that pitted four Triumph dealers in the Iron Moto Challenge. Of course, the festival is still a celebration of motorcycle and rock and roll culture that features custom bikes and hot rods, an amateur film festival, live music, and a pin-up contest. British Customs partnered with Triumph Motorcycles to bring the bike building competition of the year to the 2014 Motoblot Show in mid-June. 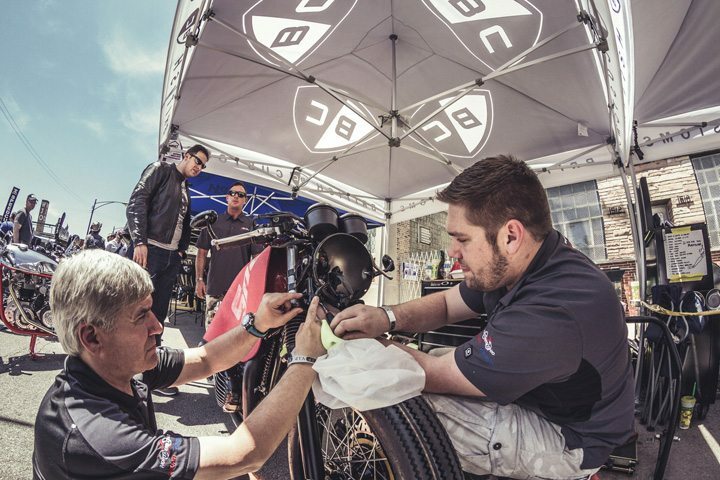 The British Customs Iron Moto Challenge, presented by ICON 1000 and Raen Optics, proved to be a hit. 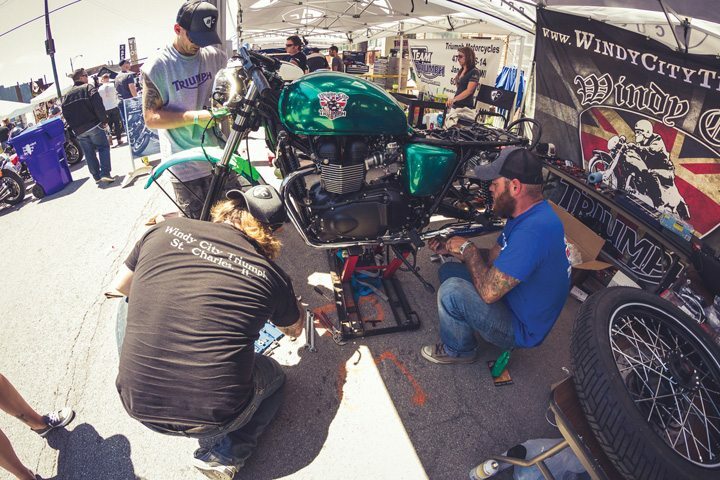 Competitors were randomly assigned a bone stock Triumph motorcycle to base their builds on, then were given free reign to do whatever prep, paint, or performance modifications they wanted before the show. The four bikes arrived at Motoblot on June 14, and fans watched as the builders stripped down their machines and built them back up into unique custom rides right there on the streets of Chicago. 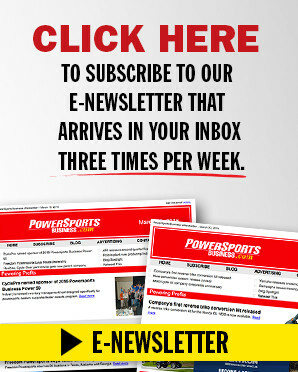 Johnny Scheff of MotoWorks Chicago, Carl Peshof of Northern Ohio Triumph, Todd Ligman Team Triumph of Wisconsin and Ken Rudoy of Windy City Triumph were the team leaders. Nearly 100,000 attendees were expected to participate, elevating the status of the event that joins others like The One Show and Born Free in gathering like-minded riders. Competitors pulled from British Customs Parts Packages in order to complete their builds. The result was four unique bikes that showcased the variety of looks and styles that can be accomplished with British Customs bolt-on components. The winning builds were determined by a panel of judges composed of industry leaders Julian Heppekausen of Deus Ex Machina, Brian Klock of Klock Werks Kustom Cycles, Kevin Dunworth of Loaded Gun Customs and Christy Lee of All Girls Garage. British Customs will soon be offering Dealer Packages at Triumph dealerships across the country. Triumph owners will be able to mix and match from Appearance, Performance, Lighting, Protection, Control, Driveline, Suspension, Braking, Paint & Body Packages to customize their sport bike, cruiser or modern classic to create a unique machine. A member of the Team Triumph dealership shows off his group’s creation, “Gypsy,” to the crowd at Motoblot, which was held June 13-15 in Chicago. Fans who voted on the builds were registered to win a $1,500 trip to Cabo provided by Raen Optics; a $1,500 British Customs Package of choice; and a $1,500 ICON Motorsports apparel package.